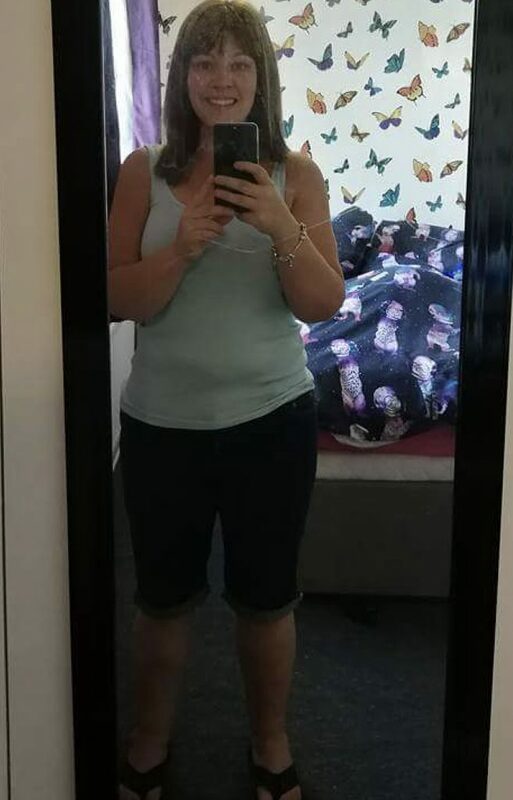 A desperate mum who was struck down with a bizarre condition that made her legs swell to giant proportions has told how she gained 11 STONE so that the rest of her body would look in proportion. 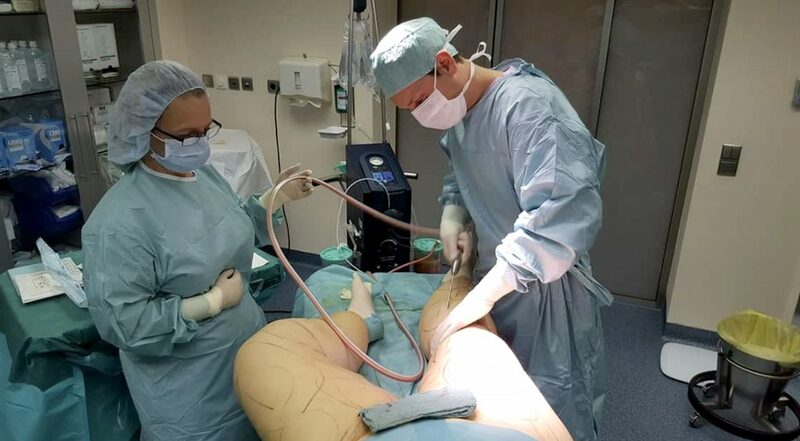 Vicki Hull, 31, noticed her leg growing in size from the age of 16 but it wasn’t until five years later that she was diagnosed with Lipedema – a condition that causes fat to be distributed in an irregular way beneath the skin. The former carer gained 11st in weight in an attempt to make her 30 inch thighs – which weighed a combined eight stone – look in proportion to the rest of her slim body. 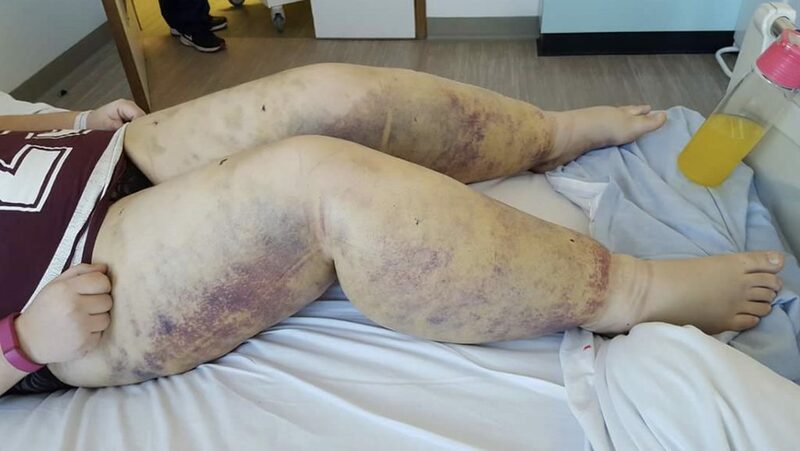 Living off a diet of takeaways and high calorie snacks, Vicki hated her size 26 frame but with no treatment available, her legs continued to grow. 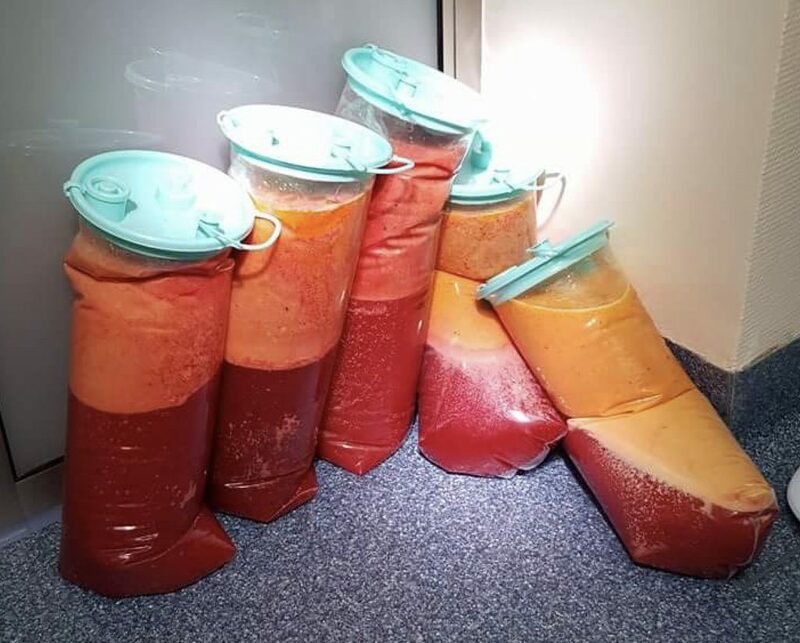 But after fundraising for liposuction, Vicki raised £20,000 and has since dropped the weight and had 22 litres of fat drained from her legs and arms. Her last surgery, which was two months ago, removed the excess skin on her legs and the final operation will take place next year. Vicki who once weighed 22st now feels amazing in her new 11st frame. 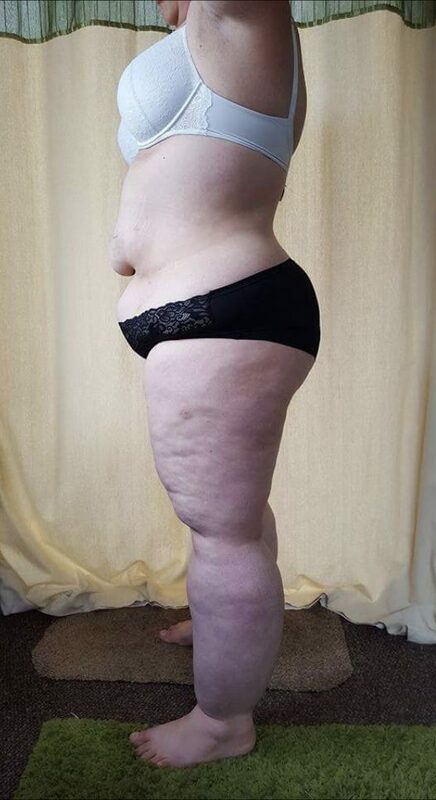 Vicki, from Southampton, said: “My legs were huge compared to the rest of body and when exercise failed to help shift the weight I decided to gain weight so I looked in proportion. “I would binge eat most days in the hope I’d pile on as much weight as possible so I’d look normal, I was so depressed. “My thighs were 30 inches wide and I was wearing a dress size 22 in my early 20’s. “But once the pain started and I was diagnosed properly I began fundraising for liposuction as this was my only option. 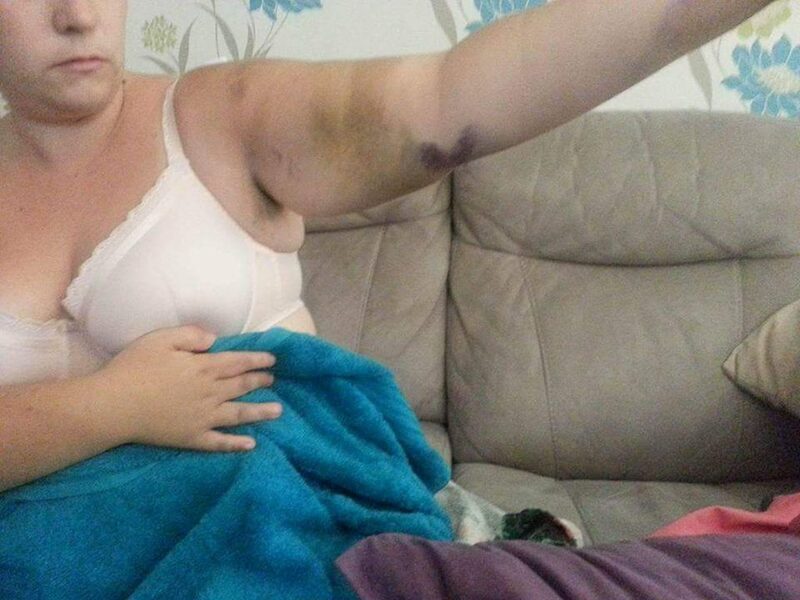 “I needed £20,000 but by last January I had enough funds for my first surgery on my lower legs. 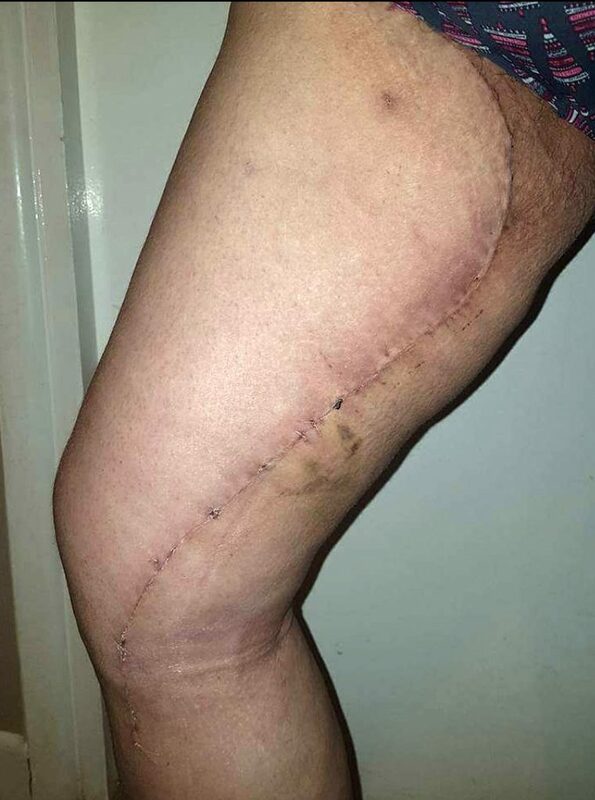 “I contracted a skin infection afterwards so my next operation wasn’t until June when I had the tops of my legs, my inner legs and arms done too. “The liposuction was a water based one which prevented the surgery from damaging my limbs. “In December I had liposuction on my legs again to ensure no fat deposits were left behind and in April this year I had the skin removed. Vicki – who is now a dress size 12 – is hoping to have further liposuction on her stomach later this year once she has saved more money. She added: “My transformation won’t be complete until my stomach is done but I still feel fantastic now. “My stomach skin needs removing as when I lost 11st my skin didn’t retract back. “I will have scars on my legs and arms but that’s a small price to pay to not be in pain and to have my mobility back. “I don’t recognise my legs when I see them in a reflection, it’s an amazing feeling. “I used to have to wear compression garments every day but now I don’t have to wear them 24/7. “Even though there’s no known cure for lipedema I’m thankful that I could have years of living pain free. “I used to be taunted by strangers who assumed I was just obese and greedy but I hope my story shows people not to judge someone by their appearance. “I had no control over the size of my legs but now I have a new lease of life.